Talking to customers (and prospects) about the software products and services you provide is extremely important to ensure their ongoing satisfaction and exceeding of expectations. Whether you have a formal process such as user groups, online survey forms, or just picking up the phone to gain feedback, customer input is critical to your business growth. Your clients will tell you what they like, what they don’t like, and what they would like to see in future software releases. With this input, your business solutions will stay ahead of the curve competitively. Although it is impractical to accept every new feature suggestion, those that fit within your business strategy, and have gained some consensus from multiple clients, will be destined for new versions. However, in our quest to develop the most functional, automated, paperless, and user friendly applications, some customer requests can be quite surprising. For instance, the LBi HR Help Desk “clipboard” screen displays the HR users “to do” list, easily sorted and filtered by using checkboxes and drop-down list qualifiers. 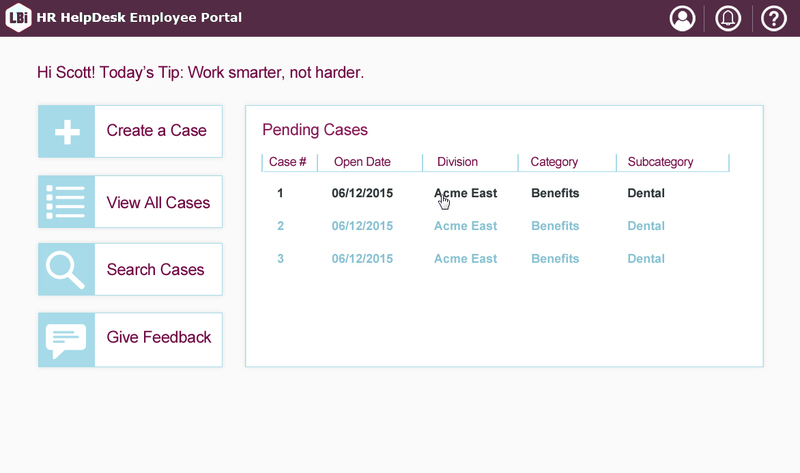 The overloaded HR agent can tame a daunting caseload list by showing only the urgent and past due cases, for example. Or cases tagged as High Priority. LBi HR Help Desk automates the user’s workload organization and workflow process. But do you know what many users have asked for? A simple one-click printout of their “to-do” list. Many users still prefer paper copies that they can cross out, mark up and fold up. They don’t want to bother to set up and qualify a report just to get a simple list (though they certainly can). They just want a quick printout of the list they see in their clipboard screen, that they can hold in their hands and take to the break room. LBi obliged in the latest version. So much for paperless. That should pretty much cover the means for locating any employee record, right? Not exactly. Since LBi supports many very large organizations, including multi-national companies, HR users have asked for even more options. Again LBi obliged in upcoming Version 6. With the new Advanced Employee Search feature, users can now search by other criteria such as Hire Date (To-From), Division/Location where the employee works, any part of the First Name and/or Last Name, and more. Who would have thought more search criteria would be needed, particularly with the powerful Sounds Like option? 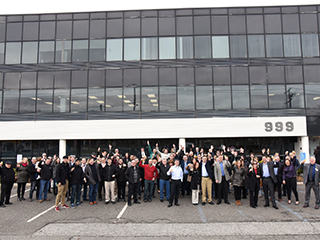 Our customers spoke and we listened. Speaking of paper, many users have asked for more comprehensive documentation for HR Help Desk, above and beyond the standard context sensitive Help utility. As is the case with virtually all software today, the Help utility essentially replaces the thick printed user manual (remember those?). Our clients have additionally asked for video guides (thank you, YouTube) and printable pdf how-to documents. In new Version 6, these resources (25+ documents and videos) are a single mouse-click away. So if you really are yearning for that printed physical manual, no problem. We listened. As LBi HR Help Desk moves onward and upward, we are sensitive to the still-valuable features from yesteryears, as well as seemingly one-off new requests. We endeavor to accommodate the needs and preferences of our clients, even if it means occasionally taking a step back in feature design. Less “bleeding edge” and more practical. Vinyl records are back. Why not a little paper if that improves your operations? 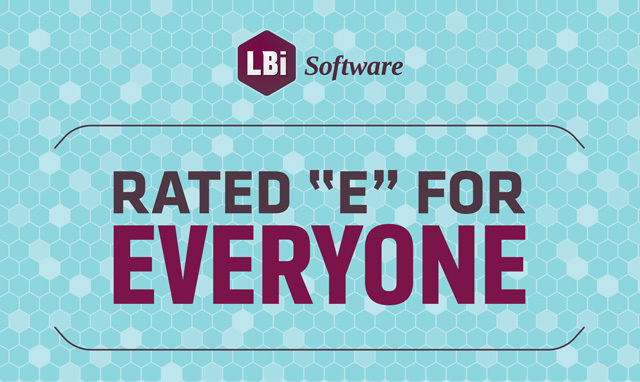 At LBi, we strive to deliver HR systems that work the way you do, not the other way around. Sometimes that means clients learning new and better ways of doing business, and sometimes it means assimilating applications into an already efficient work environment.